Annual conference of all HOT members in Gstaad-Saanen, Switzerland. 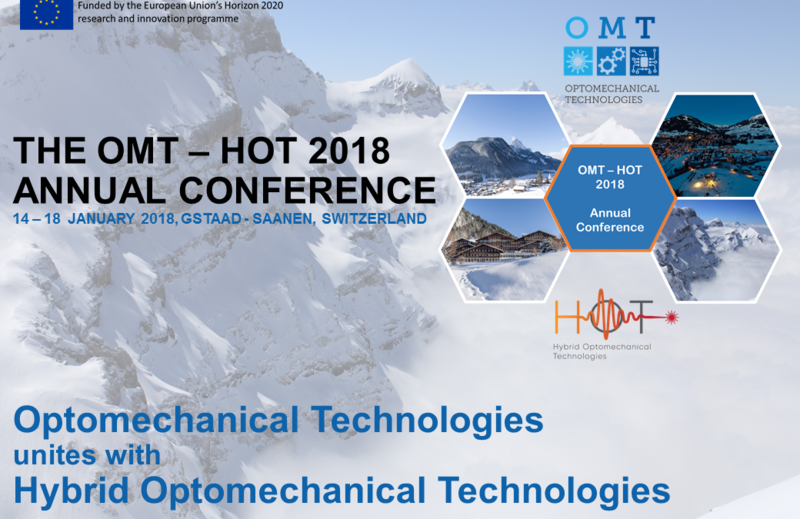 The annual conference brings together members of the OMT and HOT consortia, two H2020 funded projects coordinated by EPFL and consisting of research groups from academia and industry. The aim is to create a synergy between the two projects and members given the thematic overlap on Optomechanical Technologies.